If not… do it now! 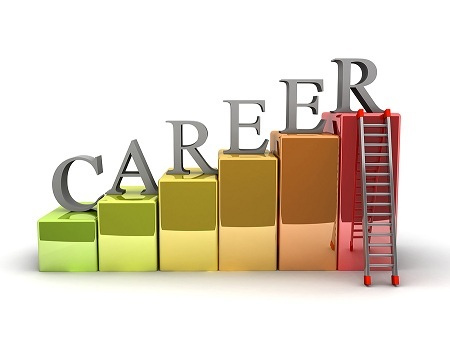 Your digital footprint can impact your future career… both negatively and positively! 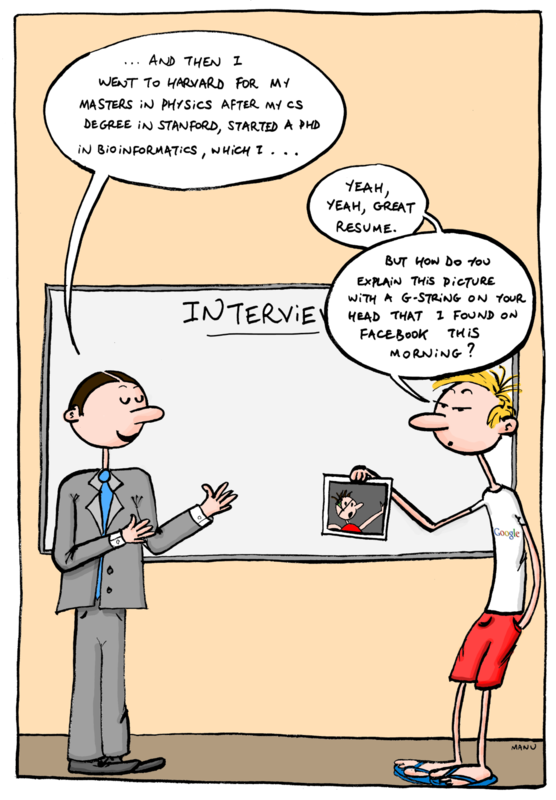 The number of employers who are using social media to get background information on job candidates is increasing and there are numerous stories in the media about candidates being rejected due to their social media presence. You need to manage this by ensuring appropriate privacy settings are in place, but you can also use social media to your advantage, by building a professional profile on LinkedIn and other social media platforms such as Twitter. These can help you to extend your network beyond your immediate circle, thus increasing potential career opportunities. You should also be aware that many companies are now utilising social media platforms to advertise vacancies and seek out candidates, so if you are not using these platforms you may miss out on the job of your dreams! Posted in Careers, Events and tagged Digital Footprint, facebook, Job Hunting Tips, LinkedIn, social media, Twitter. Bookmark the permalink. Glasgow G2 7NP Join Morgan Stanley for an interactive learning event, aimed at undergraduates who are interested in our Summer Internship Programmes and Industrial Placement opportunities. Led by Morgan Stanley business experts, you will learn and better understand the role of Operations as a department within Morgan Stanley, and the skills required and career options throughout the business. You will also have the opportunity to meet and network with these role models during the event.At Morgan Stanley, solving complex challenges and fueling economic growth across continents is what we do. We offer you a structured path to success, providing you with the training, mobility and responsibility to make a real difference. To apply please send your cover letter, explaining your interest in attending, along with your CV to glasgowcampusrecruitment@morganstanley.com by Monday, 8 October. Scottish-based Fast Streamers will talk about their work in areas such as DWP, DfID and the Scottish Government, discuss the experience of being on different “streams”, including generalists (policy), economists, and EU specialists, and give you an inside story on the highs and lows of being on this competitive, intensive programme. There will also be a Q&A to answer all your questions. For more detail about the faststream, please see the Cabinet Office website: http://faststream.civilservice.gov.uk/. Posted in Events and tagged events, graduate recruitment. Bookmark the permalink. 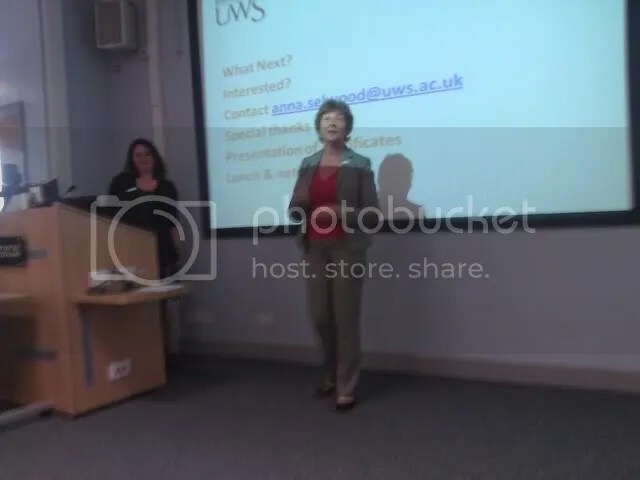 Heading to #uwsemp employer mentoring scheme event at University of West of Scotland – should be interesting! A somewhat blurry group photograph! 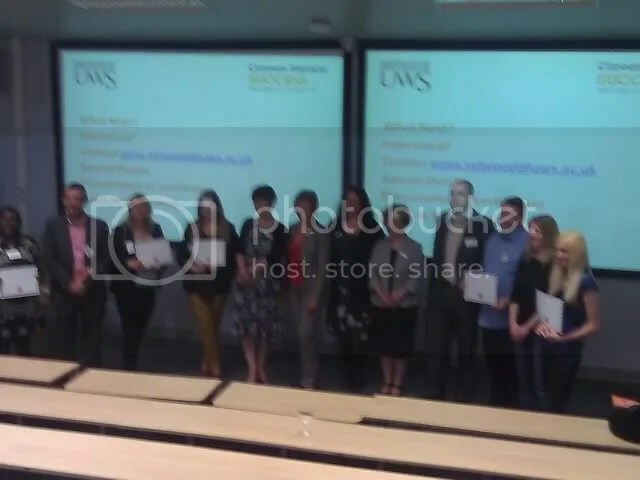 Thanks to everyone at UWS #uwsemp – good to be involved at start of a successful programme.